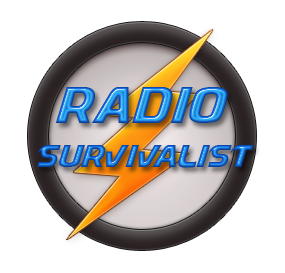 The ultimate in running stealth radio communications. You are out on a portable operation with a dipole antenna strung up between a couple of trees, the transceiver sits on the table ready to go. With all this stealth one wonders how you can keep others from overhearing everything you’re doing. The answer to this is the digital modes of amateur radio known as PSK , RTTY , MFSK , OLIVIA, HELLSCHRIEBER, and many others. Digital modes allow you to use your computer to connect the radio in such a way as to allow you to communicate back and forth using software similar to that shown below. One this screen you see the tuning pointer to the right of center of the image centered on the fuzzy line on the green area of the screen. The green area is called the ‘waterfall’, the actual signal is called a trace. In this case it is centered on a call coming from a station in California. Many other software packages will actually display up to 12 different ongoing conversations simultaneously. *** The preceding section of this article has been modified at the request of the amateur radio station previously posted. For more on this please read: free speech attacked.The reason for using the digital modes is that they go further on marginal antennas, the software pulls in weak signals better. On top of that it is nearly impossible to detect the digital modes while they are operating. Software for digital modes, with only a couple of exceptions, is free for most modes. All that is needed to utilize the digital radio modes is a simple interface box that goes in between the microphone and the radio itself.